If you work hard — it shows! 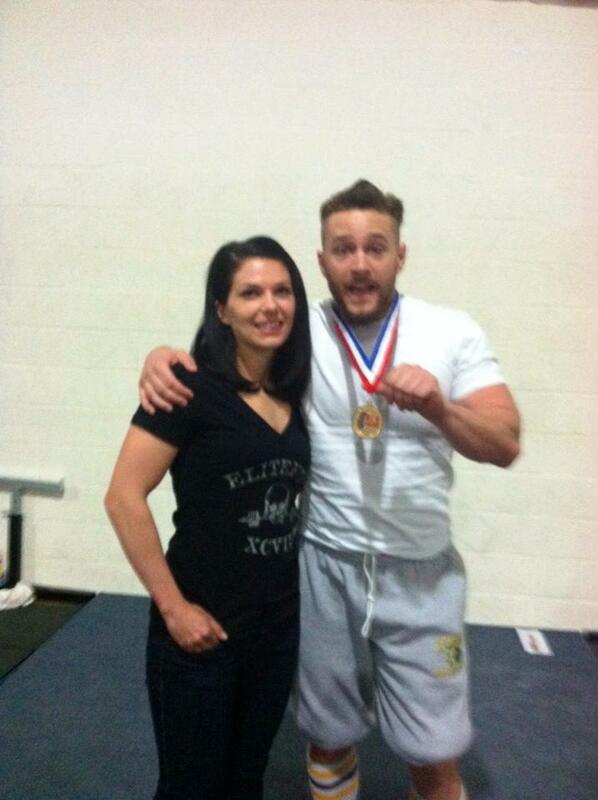 That’s the advice from Rock Creek Sports Club Personal Trainer Devin Knox, who managed to train not only himself, but also his sister, as well as Rock Creek Sports Club member Dave Lindoefer, to compete in the 2013 USA Powerlifting Equinox Open. The meet consisted of three events: Squat, Bench Press and Deadlift. For each event you have three attempts — an opener, a second lift, and third lift — and they count your heaviest attempt toward a three-lift total. Devin says with the help of fellow trainer Zach Tolchin he started training for the meet about four months before hand, six days s a week, two to three hours a day, focusing on those three lifts: squats, bench press, and deadlift. And all the hard work paid off! 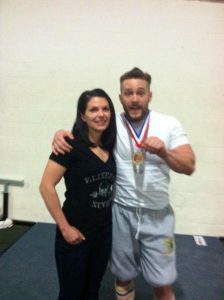 Devin received a gold medal in his 198-lbs weight class with a 499-lbs squat, a 336-lbs bench press, and 573-lbs deadlift. Devin’s sister, Ashliegh, also broke all of her personal records with 123-lbs bench, 200-lbs squat, and a 292-lbs deadlift. And Rock Creek Sports Club member Dave Lindoefer, rocked the meet too, especially since it was his first powerlifting event since 1977! 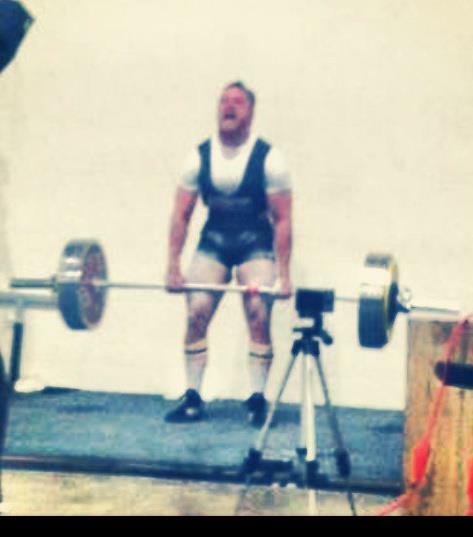 Dave broke his current deadlift record too, with 319-lbs!